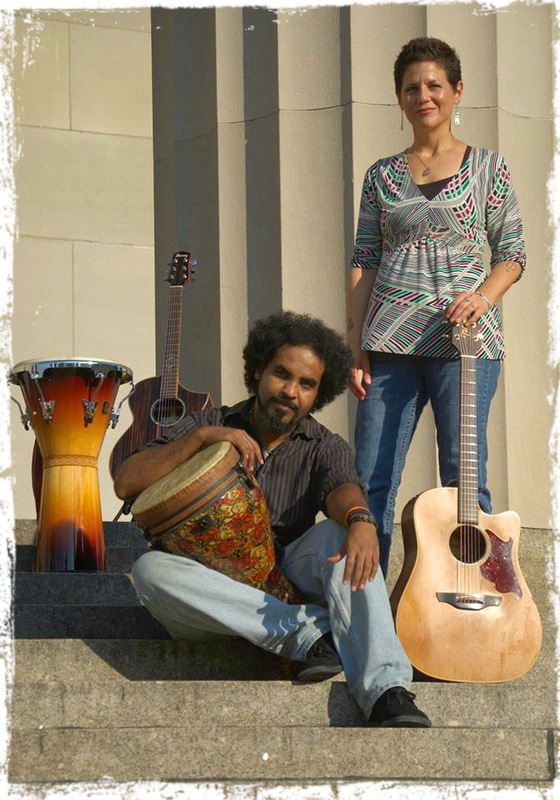 Sahffi (Neo-Alternative Folk Artist from Maryland) and Mosno (Desert Eclectic Artist from Sudan) team up to deliver a vibrant acoustic performance, featuring vocal harmonies, guitars and African percussion. This duo brings to the stage over 20 years of combined performance experience. They have opened up for legendary band Rusted Root, Grammy-nominated Mathew Santos, award-winning band Carbon Leaf, and Preach Freedom. They have performed up and down the Mid-Atlantic region in venues, festivals and online shows from Baltimore to New York, to Philly and DC, as well as Atlanta, Miami, and more. They are currently working on their second album, "Panoply Parade," so make sure to stay tuned, you will not want to miss what will be coming next for goatFISH.